Kerrin P Sharpe’s new collection receives warm approval from Norbert Hirschhorn. Great Britain is blessed with poetry written in many different English dialects and voices: regional English, Irish, Scottish, and Welsh; American, Sub-Continental, Caribbean, East and West African; and from the antipodes, Australian (Les Murray, John Kinsella, Judith Wright come especially to mind). These treasures gift us with new language and tonality, novel internalities. Up to now, however, few New Zealand poets have made the Great Crossing to enliven our poetic potpourri – Bill Manhire, certainly; Fleur Adcock, but she has lived in England for the past fifty years. We can hope that poets like Anna Smaill (The Violinist in Spring, Victoria University Press, 2005) and now Kerrin Sharpe will become more familiar to us, enriching our poetic sounds with words derived from their Kiwi and Maori culture and geography. 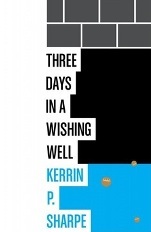 Three Days in a Wishing Well is Sharpe’s debut collection from a writer in mid-life. Her poems are compared by Bill Manhire to ‘migratory birds settling very briefly on the page’. Indeed, the poems are page-centered; many in easy-on-the-eye couplets; virtually bereft of any punctuation or upper case letters; with lines rarely exceeding five syllables, and many with fewer still. Syntactical units run across lines, and frequently articles and prepositions end a line to emphasise the noun that begins the next. Sharpe’s language rarely uses abstractions – its strength deriving from nouns and verbs. The spare look may tempt readers to skim the poems, which would be a mistake. They bear slow reading, then re-reading. The elegy ‘my father always…’ reminds me in its tumbled-together imagery of a magical Chagall painting, full of loving sentiment without sentimentality: my father always let the/ station leave before the/ train he always tipped/ his fedora he always/ pulled the earth in a/ sugar bag weaving his/ way through shingle/ to receive/ the sacred/ heart of clocks…// to hug my father was/ to know the sky…even now I/ hear the surprise of/ small birds. In this poem Sharpe makes excellent use of the article hanging off the end of a line. Sharpe can also be playful, funny, sly, letting her imagination out in the second section: Here a deer tells the class he is teaching three anecdotes: about visiting Frankfurt, meeting a barber, and becoming a vegetarian: The deer watches the butcher perform a kind of harvest dance,/ hanging ballrooms of pigs on their own hooks, stripping the/ willow with feral punches of a chopping board.// The butcher, a generous man, offers the deer a trotter, but the/ deer has read enough about the fallen notes of folk dancing/ and turns off the light’. The title poem leads off the second section, where Sharpe lets fantasy and imagination play. Every three days a city worker retrieves moon drop coins from the ceramic hands of the porteous/ yellow blue art tiles. The city councilors can now discern, and perhaps favour the thoughts of the boy// rowing nowhere the/ woman carrying shortbread/ as live environments.com/ even the washing// instructions for this poem. I hear echoes of Byzantium here, a paean to spiritual contemplation and renewal. We wish, we wish, we wish. Monks, guardian angels and saints populate the third section. There are mysteries, in the Catholic sense: …monks are praying// hundreds of bees/ are in the painting// and an old monk is closing a hive/… the bees dream for the monks// and when you/ drink the mead/ you remember nothing (‘flame in the cup’). We may take the cup as holding consecrated wine, the flame of the Christ. She again remembers her father, taking on angelic garb: every morning/ my father dyed/ his wings with// water colour/ and body colour/ over slight pencil…// to hear bees murmur// the angelus to/ remember the word/ become honey (‘poem in a monastery garden’). The Angelus is the devotion commemorating the Incarnation, divinity entering the human Jesus. What a lovely image: the logos becoming God, becoming flesh, becoming honey, announced by the bees. What a serious image: the bee in Christianity symbolises immortality of the soul, signifying the resurrection. Sharpe gives us her memories, beliefs, philosophy – and amid the music we hardly knew she was doing so. Poetry at its finest.